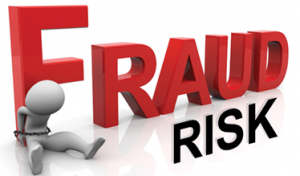 Fraud and embezzlement in dental practices is far more common than any of us want to accept. Yes, it will happen to you at some point within your practice. Recently, we had an expert speak to the Dental Accounting Association and the myriad of ways that embezzlement occurs in a dental practice and it was alarming. All of the various ways they can steal is endless from padding payroll, petty cash, employee advances, patient refunds, insurance checks, buying office supplies at Costco and even prescriptions. Background checks – All employees should be subject to background checks before being hired, especially office managers, receptionists and key staff. This is inexpensive and standard procedure for savvy dental practices. Most office fraud cases are caused by serial employees who repeat this crime and get better at their craft. Digital time clocks – The days of submitting payroll manually are over. Your office should be using a digital time clock. Inventory levels of office supplies and free samples should be very tight and overseen by multiple people in your office. Separate responsibilities so you don’t rely upon one key employee. Ensure that multiple people can perform all tasks and ensure all employees take vacation. Embezzlers typically avoid taking time off and want to control all tasks. Many embezzlers have a tight relationship with the practice owner. Physical or emotional. In a nutshell, all dental practices will experience theft at some point within your ownership period. If you suspect embezzlement at your office, there is a process to follow before accusing any staff member. Dental Accounting Association firms are another resource to contact if you suspect something is not quite right. Our members have a process to follow and an independent fraud risk expert to help you at the appropriate time.